Small Stories Bigger Picture shows visual stories about a society in transition. In response to recent political, social and economic crises society requires social commitment: involvement on large scale and conscious choices on a small base. By visually unravelling the complex structures of our time designers and photographers create a transparent view of the world. Their visual stories make the audience more aware of their own environment and behaviour on a personal to social level. 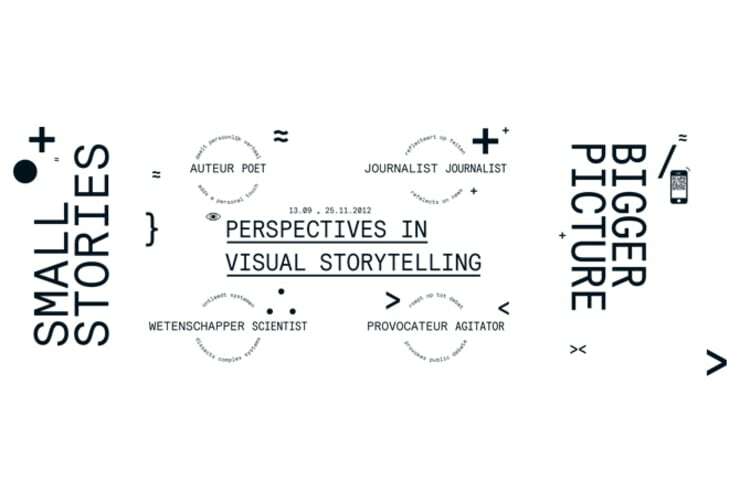 The social responsibility of image-makers is reflected in the relationship between content and form of the visual stories. The personal influence of the maker on the eloquence of the message is of great importance. The combination of relevant topics and innovative creativity makes the presentation suitable for both a wide as a professional audience. 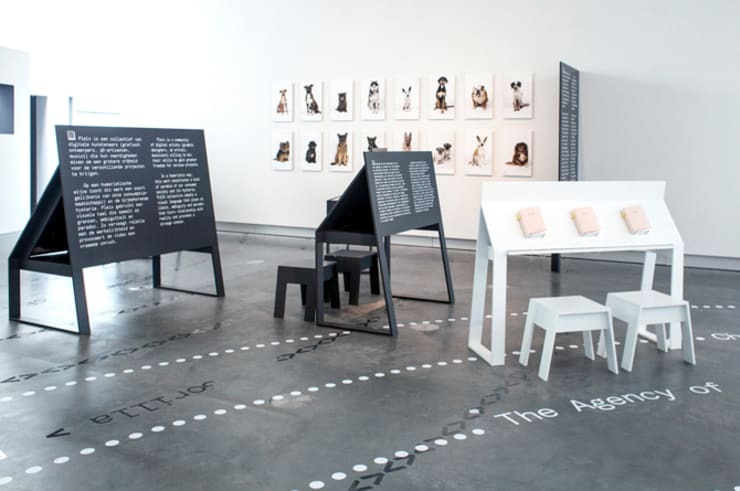 Attitudes of image-makers, rather than disciplines or media form the core of the exhibition. Proving that visual stories increasingly determine our worldview. The covered attitudes (author, journalist, scientist, provocateur) proceed from a society that is open to criticism, reflection and opinions of others in the formation of its own worldview. The role of an image-maker goes beyond shaping information; the image-maker is responsible for the content. 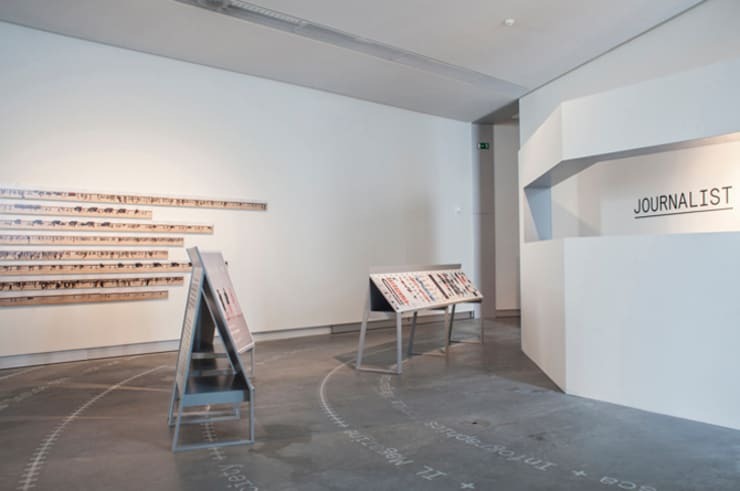 In the exhibition the audience encounters over 40 visual stories in an associative manner. 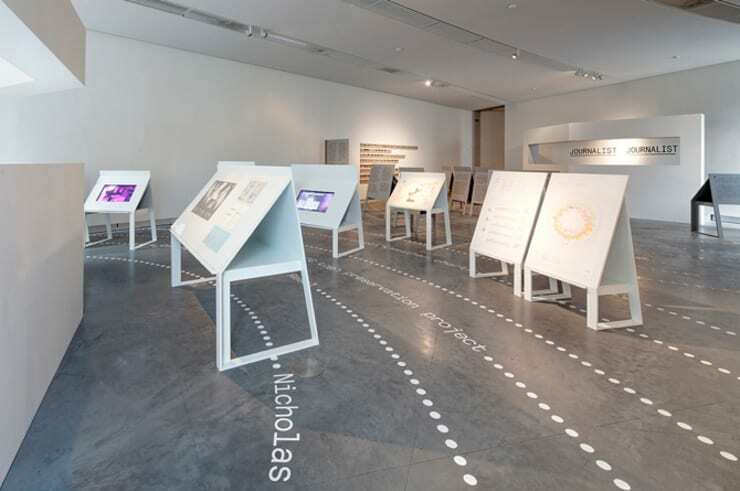 The exhibition design provides insight and transparency, allowing the audience to make their own choices. Moving in a three-dimensional info graphic without walls or other architectural interventions that determine a route. 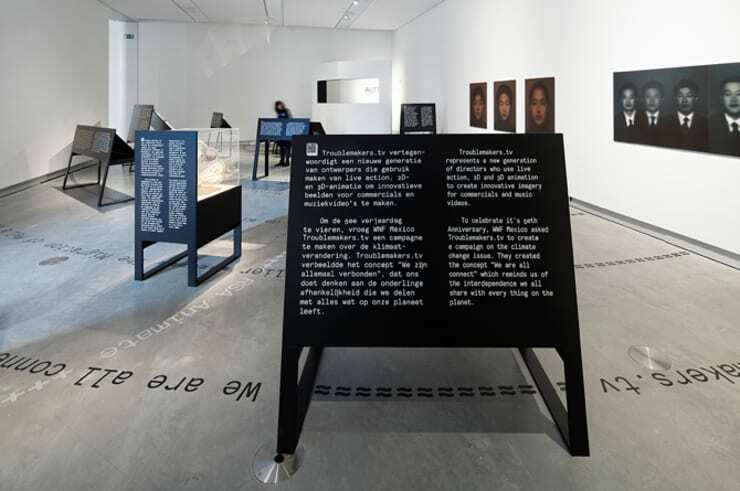 The stories are shown on objects in an open field. Colour, typography and placement of the objects provide categorical interpretation. Notes and visual stories are separated; the visual story is always directed to higher points. These points provide a perspective, the chance to view the stories in context based on overview and explanation. 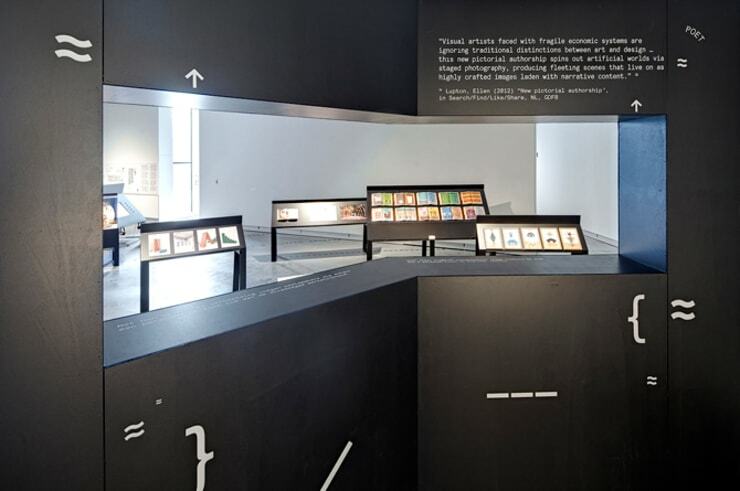 Both title, as exhibition design do not refer to individual attitudes, but to a larger perspective formed by visual stories. They are the harbinger of a new world in which images say more than a thousand words. A transparent world allowing us to communicate where and with whom we want without language barrier.